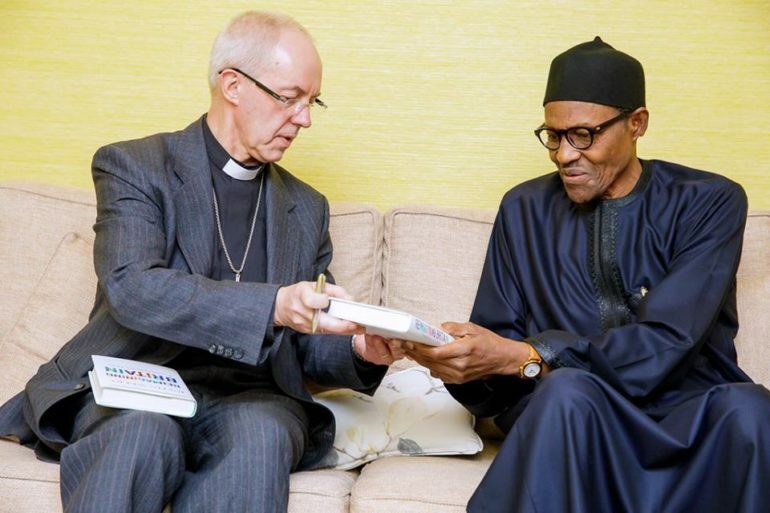 The Archbishop of Canterbury, Justin Welby, has challenged the British government on how much it is doing to help end violent attacks on Christians in Nigeria. His comments, made in a House of Lords debate on Fulani herdsmen and Boko Haram on Tuesday (17 July), follow the publication of a report that found that more than 230 people were killed during a spate of attacks in Plateau state late last month – a figure almost three times what was stated in early news reports. The archbishop voiced his “deep concern” about the attacks, adding that the compound of the Archbishop of Jos was recently attacked and one of his friends was killed. 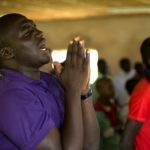 The attack, three weeks ago, has been blamed on Fulani herdsmen, according to the Anglican Communion News Service. Responding, Baroness Goldie said the British government is ready to support Nigerian-led initiatives, has encouraged the EU and the UN Office for West Africa and the Sahel to extend their influence and develop sustainable solutions to the conflict, including through support to community conflict resolution initiatives, and is considering how the UK can support reconciliation at local levels. The debate took place days after the publication of a report by the Nigeria-based Stefanos Foundation that claims the death toll from the attacks in Plateau was almost three times higher than was reported in initial coverage. Early reports suggested that 86 people were killed in the attacks (over the weekend 23/4 June), but according to the Stefanos Foundation, that carried out a fact-finding mission to the area, 233 people have been confirmed dead and 15 communities were affected. The attacks forced more than 11,500 to seek refuge in 13 locations across the state, while an undetermined number of people were injured and hospitalised in various medical centres in Jos, the capital of Plateau state. The violence, one of the deadliest episodes in recent years, was the latest in a series of attacks carried out by Fulani militants against Christian communities across the Middle Belt and the north-east state of Adamawa – also one of the three states most affected by the Boko Haram crisis. The violence there is often described as communal clashes between the predominantly Christian farmers, and Fulani herdsmen, who are mainly Muslims, and President Muhammadu Buhari refers to it in terms of a struggle for natural resources such as water and fertile land. However, many Nigerian Christian leaders in the area argue there is a religious dimension to the attacks, and without acknowledging it, politicians will not be able to properly address it. The NGO Christian Solidarity Worldwide (CSW) on 29 June noted that “During the first quarter of 2018 CSW documented 1061 deaths in 106 attacks by the Fulani militia on communities in Adamawa, Benue, southern Kaduna, Kogi, Nasarawa, Plateau and Taraba states. CSW also documented seven instances of violence targeting Fulani herders or communities in which 61 people lost their lives; two of these attacks occurred in the south of the country. The recent deaths in Plateau state bring the number of casualties recorded so far in herder militia attacks in central Nigeria in the second quarter of 2018 to 440”. Jerry Dalyop, a father of four, a farmer and a native of Exland Village in Gashish district of Barkin Ladi LGA, was badly injured and left to die, when the assailants stormed his village on Saturday, 23 June. “We were in the room with my family when we heard gunshots everywhere. I immediately hide my children under the mattress; my wife and I hide in the ceiling. “Suddenly, about five Fulani men dressed in black entered our room, broke our door and brought us out from the ceiling where we were hiding. Two of the men had guns, while the other three had sticks. They kept communicating with each other in their language. “And as we were helplessly listening to them, they suddenly dragged us outside our room and struck us with machetes. They macheted my hand, head and back, while they hit me with sticks. My wife was also macheted on two different places on her head, her ears were affected, and also her thigh. 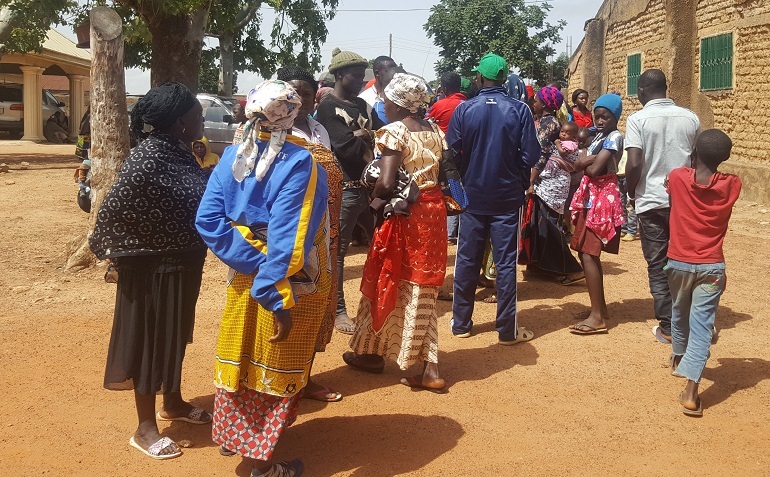 Details of the June 23/4 attacks provided by survivors quoted by the Stefanos Foundation suggest Fulani militas carried out a well-planned attack in a “coordinated military style”. According to the 7 July report, the assailants were dressed in black robes, and identified as Fulani herdsmen (they were speaking Fulfulde, the Fulani language). They stormed the communities in great number, in broad daylight, chanting “Allahu akbar”. The report also highlighted the violent nature of the attacks. It said that some victims were hacked to death by machete, others were shot dead, and others were burned alive in their properties. The report concluded that the assailants had prior knowledge of the neighbourhood, because only Christians and their properties were targeted while their Muslim neighbours were spared. Another survivor cited in the report suggested the assailants worked with local accomplices. He said: “It’s clear to me now that people from our community connived with the Fulanis, who came from outside to attack us, since it was only Christians and their property that were attacked and burnt. 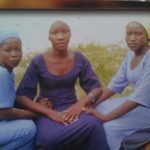 The Hausa/Fulani inhabitants in our community are still living in the village.” The same survivor said his nephew, who practises Islam, was also one of the attackers. Such allegations were corroborated by a BBC journalist who visited the affected areas two weeks after the attacks. “In Gana alone about fifty houses were razed down and 35 people killed. Most of the homes belong to Berom Christians. Churches were burnt down and the pastors killed” wrote Abu Dooshima in a series of tweets. Gana is home to both Muslims and Christians and even there are some Igbos there who are doing legit businesses. Their homes and shops were destroyed. Meanwhile the houses of Muslims were not touched. Ms Dooshima also rejected the claims that the assailants might be foreigners. On various occasions, President Buhari has pointed the responsibility of the killings to foreign fighters. While addressing state leaders in Jos, in the aftermath of the Plateau massacre (on 26 June) he reiterated his previous claims that herdsmen only carry sticks and/or machetes to clear the bush. He made such claims during his meeting with US President Donald Trump). “If they are [foreign] terrorists, how were they able to identify homes of only Beroms and Igbos to attack and not even the house of a Muslim touched” asked Dooshima. “They burnt all the churches and the mosque was left standing”. The report also points a number of failures from security forces to act promptly, in order to prevent the massacre. Moreover security forces in some of the affected areas withdrew “because the attackers outnumbered them and were well armed”. In the aftermath of the massacre, the governor of Plateau state, Simon Lalong, imposed a dusk to dawn curfew in the three most affected local government areas (LGAs), Riyom, Barkin Ladi and Jos South, in an attempt to curb the violence. President Buhari announced an unprecedented deployment of security forces in the region, including two police surveillance helicopters, five armoured personnel carriers, three Police Mobile Force (PMF) units, two Counter-Terrorism Units (CTU) and Police Intelligence Units, as well as conventional police personnel from other states. But the Stefanos team observed that the affected areas were still vulnerable and insecure, with “only skeletal presence of security personnel in locations where the IDPs [internally displaced persons] are situated, and attacks on villages are still silently on-going”. The Stefanos investigators also said that some of the villages attacked in the past have now been occupied by Fulani herdsmen, and over 40 villages have now been deserted in Barkin Ladi and Riyom as a result of the continuous attacks. 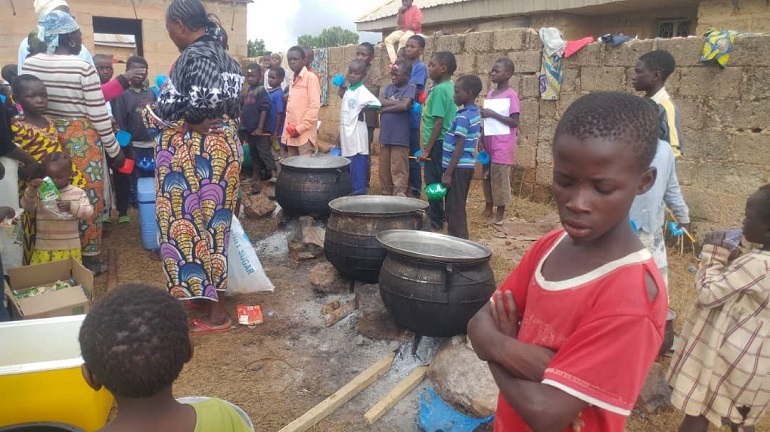 “The locals, who are the inhabitants of these communities, have no hope of returning to their homes, rather, new houses belonging to the Fulanis are now sighted to be springing up in the deserted communities,” read the report. The report also warned that the June attacks in Plateau have created a humanitarian crisis, said Stefanos. The 11,515 survivors are spread across 13 locations and sheltering in buildings such as schools and churches. Some 3,026 people were sheltering in one church compound alone, in Heipang, while in Anguldi, 3,061 people have sought refuge in a school premises. Many of the IDPs are still sleeping on the floor, the report notes. “My church is asking members to make contributions to help the displaced people. Their houses have been destroyed, food destroyed and everything they owned…The attackers are doing their best to conquer our ancestral homes. I want the world to know that the government of Nigeria has failed the citizens, especially the Middle Belt Region. The government does not want us to talk. Fulani and their cows are more precious than the lives of other Nigerians” – Rev. Gwom Davou Gyang, in Heipang. Moreover, those who are badly injured have been left to struggle with the hospital bills. The displaced are desperately in need of food, shelter, clothing, beddings and psycho-social support for their immediate needs, Stefanos warned. So far, [two weeks after the main attacks] no support has been received either from the State Emergency Management Agency (SEMA) or from the National Emergency Management Agency (NEMA). Meanwhile recent reports suggest that attacks attributed to Fulani militants have continued unabated in Plateau state and elsewhere. On 8 July, over 60 people were reported killed in attacks targeting several communities bordering Adamawa and Taraba States.